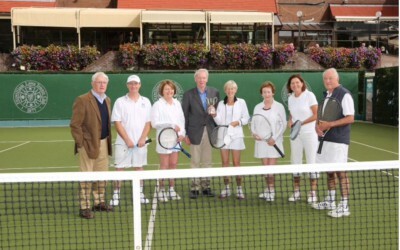 After a high standard of tennis and keen competition at Fitzwilliam on 16 September, Mary O’Neill and Aileen Sheahan retained the Alumni Tennis Cup. Photo (L to R). Colum, Michael Schutz, Aileen Sheahan, Geoff, Mary O’Neill, Breege Kennedy, Mary Sherry, and Alan McCarthy.